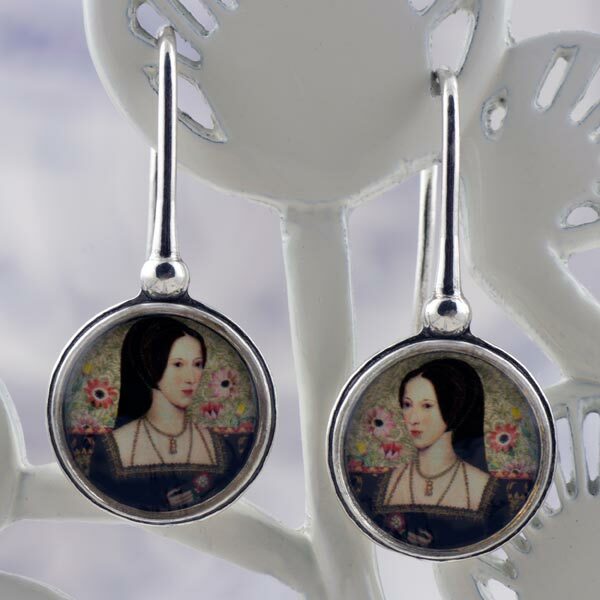 These beautiful, unique and collectible sterling silver earrings feature a collage of by Tiffini of Anne Boleyn holding the Tudor Rose with pieces of an antique anemone botanical and ornamental papers and bookplates. 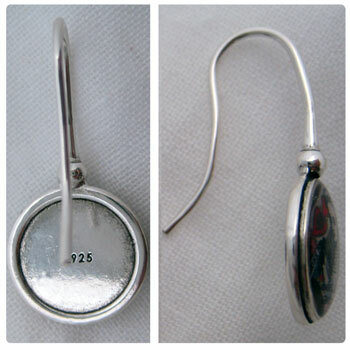 Dimensions: Image size is approx. 10 mm.